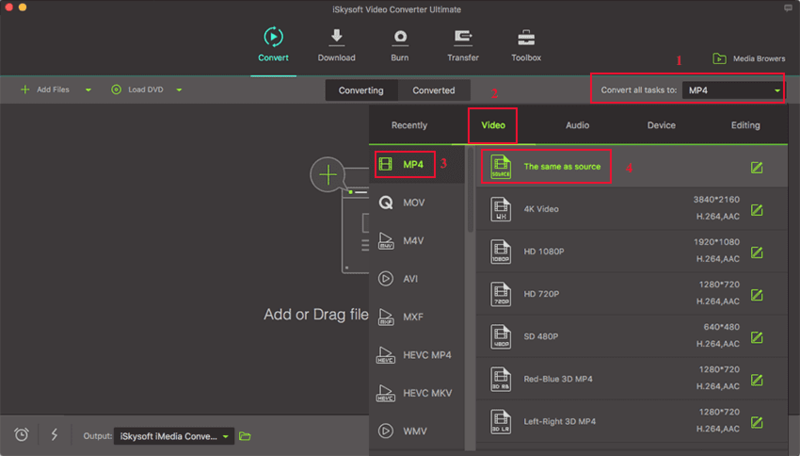 A tool that can easily convert VRO to MP4 without quality loss is iSkysoft Video Converter Ultimate. This program supports different video formats including standard format, HD format, online format and DVD format, and converts it to up to 150 differnt formats. Get the Best VRO to MP4 Video Converter for Mac or Windows. Support to convert videos to 150+ video/audio formats, including MP4, AVI, MOV, WMV, MKV, DV, HD, M4B, MP3, M4A, WAV, etc. Allow you to download online video from over 1,000 web sharing site like YouTube, Hulu, Facebook, Instagram, Vimeo, Vevo, etc. Perform basic video editing such as trim, rotate, split, merge, crop, etc. Inbuilt DVD tool kit which allows you to burn media files to blank DVD dics. Convert video/audio to iPhone, iPad, Android phone or game consoles and then one click transfer to mobile devices with USB cable connected. Perfectly compatible with Windows XP, Vista, 7, 8, 10 and macOS 10.7 to the latest macOS 10.14 Mojave. Before getting started, you can watch the video below to get a rough idea on how to convert VRO to MP4, then follow the detailed steps by yourself. Now that you have the VRO file on your computer, open this iSkysoft VRO converter then click on "Add Files" button to upload VRO file. Alternatively, you can simply drag and drop your VRO file to the converter and it will be uploaded to the program. Note: This smart converter can covnvert video in batch. So you can add more files at one time. Navigate the cursor and click on "Video" under “Output” to choose a video output format. Under video formats scroll through until you find "MP4" format and then click on it. From there, select the resolution as needed. By selecting "The same as source", the converted MP4 will retain the original video quality as VRO. You can select where you will save the converted files on your computer and proceed to the next step. Next you need to complete the process by clicking on "Convert All" button at bottom right or "Convert" button in each video display bar. The conversion process from VRO to MP4 will begin immediately. When the file has been converted fully you will then be able to open the MP4 file and watch it. Now you have the VRO file on MP4, you can transfer it to your phone or just play it on computer! 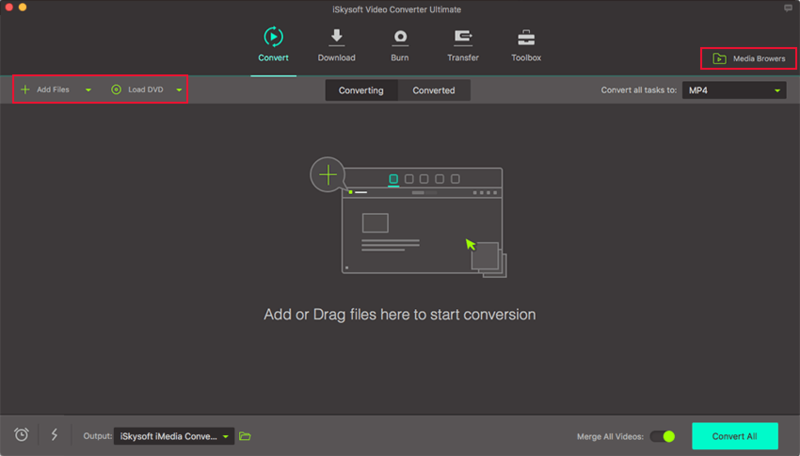 Free download iSkysoft Video Converter Ultimate and see how awesome it is. You will find more than video converter in it. It has GIF maker, VR converter, video compressor, screen recorder and more. VRO and MP4 files are video file formats. VRO is a video recording format while MP4 is digital multimedia format that is commonly used. MP4 is more popular than VRO because of its ability to support different devices, media players and browsers as opposed to VRO, which only supports DVD players. Therefore, you will have to convert the VRO file to a standard format like MP4 to play it on other devices. Below is a comparison table of VRO and MP4 file. Its file extension is .vro. Its file extension is .mp4. The VRO file contains, audio, video, scene, timing and any other information of the recording. 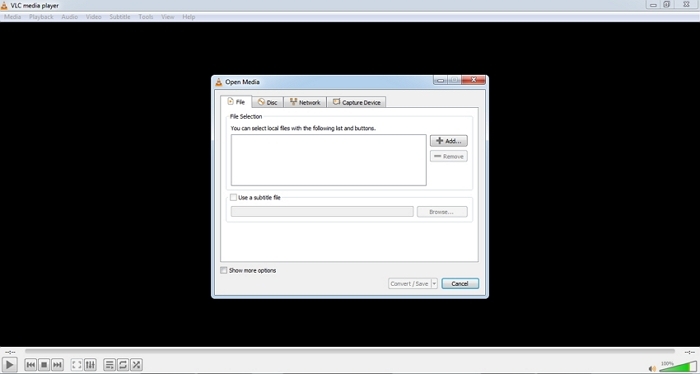 The MP4 file contains audio, video, still images, subtitles and 3D graphics. VLC, Cyber Link PowerDVD, Rich Media Player, and HD MediaSmart Video can open it among others. It can be opened by several media players not limited to VLC, QuickTime Player, Windows media player, iPhones, iPads and other digital media devices. iSkysoft Video Converter Ultimate can supports VRO files and converts them to standard formats like MP4, VOB, AVI and others effortlessly thus making it compatible with other media players. The conversion process is simple, and fast and it ensures that quality of your video is retained. Download this software and install this great software today and enjoy its features.